Fans are in for a real treat when the ninth season of Real Housewives of New Jersey returns to TV. Not only will there be plenty of drama (come on, there’s always drama), but one its OGs is also getting married! That’s right, rumor has it viewers will be treated to a wedding after word got out that a certain Bravo-lebrity has agreed to let cameras into her upcoming nuptials. Can you just imagine Teresa Giudice flipping over a table during the reception? We seriously can’t wait for this reality gold! It looks like the ninth season of The Real Housewives of New Jersey is shaping up to be a good one. 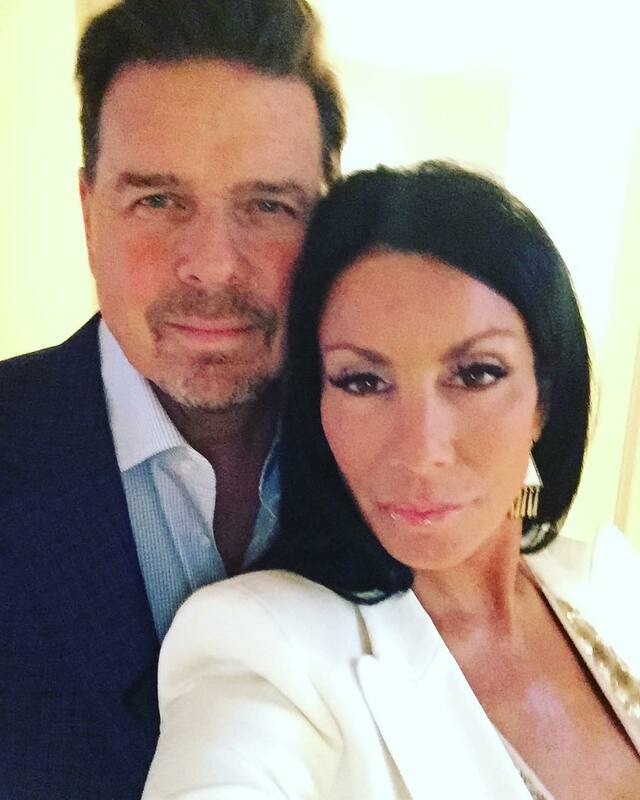 Not only will there be plenty of drama, but word has it that Danielle Staub — who returned to the beloved Bravo series for Season 8 as a “friend” of the cast — has agreed to let cameras into her upcoming nuptials with Marty Caffrey. As everything the Housewives do, the timing is suspect given the show wrapped up its eighth season just this January. According to an insider, Danielle may have pushed up her wedding so she could demand a bigger paycheck — or perhaps even maybe even an upgrade to the main cast — for the upcoming season. Additionally, Radar Online reports the ladies of RHONJ — including Teresa Giudice, Melissa Gorga, and Margaret Josephs — will all be in attendance. However, as the outlet notes, the nuptials still could be cut for time on the regular season as Danielle is still not an official cast member. “Danielle wants to be a fulltime housewife so badly, and she’s letting Bravo film the wedding, but this still won’t get her back on equal footing with the rest of the ladies,” a source spills. This will be Danielle’s third marriage.